Yesterday evening, I received an email from Daniel of the LondonWatchCompany.com, a specialist in selling Rolexes (vintage & new). Since I am on the look-out for a 1977 (my year of birth) Submariner ref.1680, I found this site to be quite interesting. In the links section, I found a website called ‘DoubleRedSeadweller.com’. This site also sounded very interesting, since I only knew about www.redwatches.com formerly known as www.redsubmariner.com. 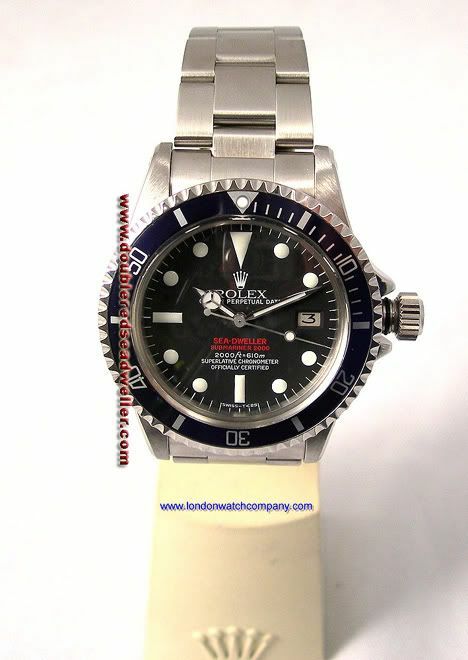 This site has been renamed after a dispute between Rolex claiming the name ‘Submariner’ and the owner of the website. Anyway, the website describes the Double Red Sea-Dweller (here) and has a lot of information about COMEX models as well. For those who don’t know, COMEX has a team of professional divers which are (or were?) 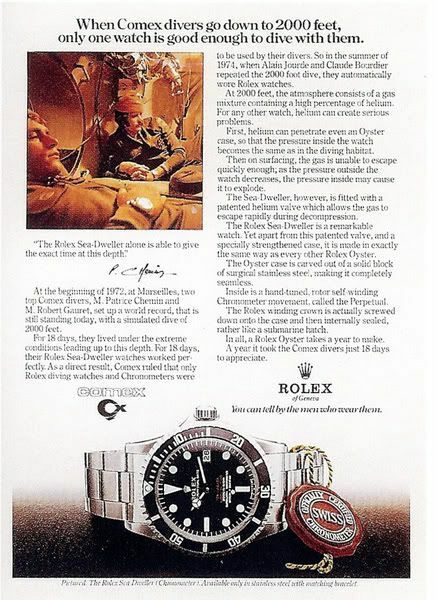 supplied with Rolex Submariners and (later on) Sea-Dwellers. These watches have the name ‘COMEX’ printed on the dial and engraved in the caseback. The prices of these Double Red Sea-Dwellers can go up to 17.000 Euro (and probably more). Maybe I was a bit behind on catching up with all these websites, but for those who didn’t know about them as well, go ahead and click!